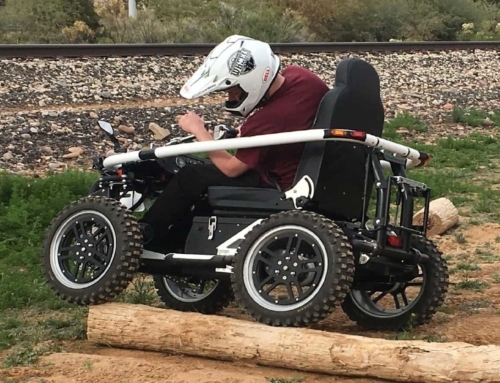 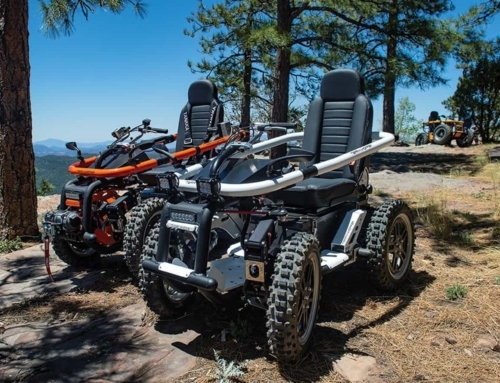 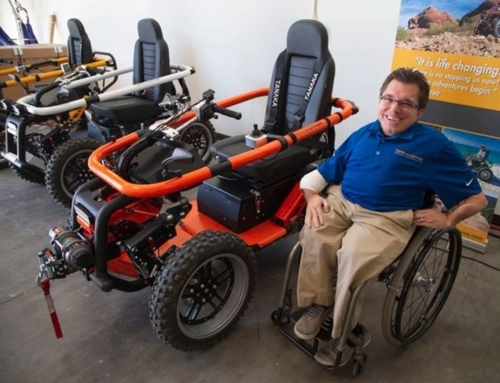 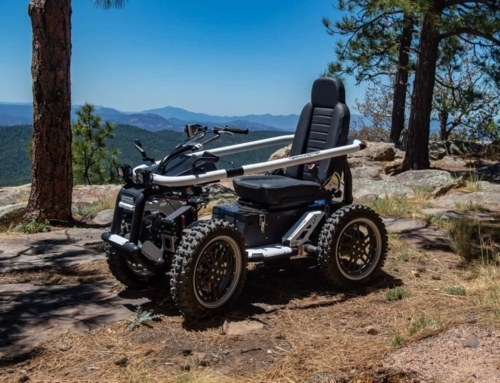 TerrainHopper USA is an electrically powered off-road mobility scooter that can operate over mud, sand, rocks, steep hills and other challenging terrain that a normal wheelchair can’t. 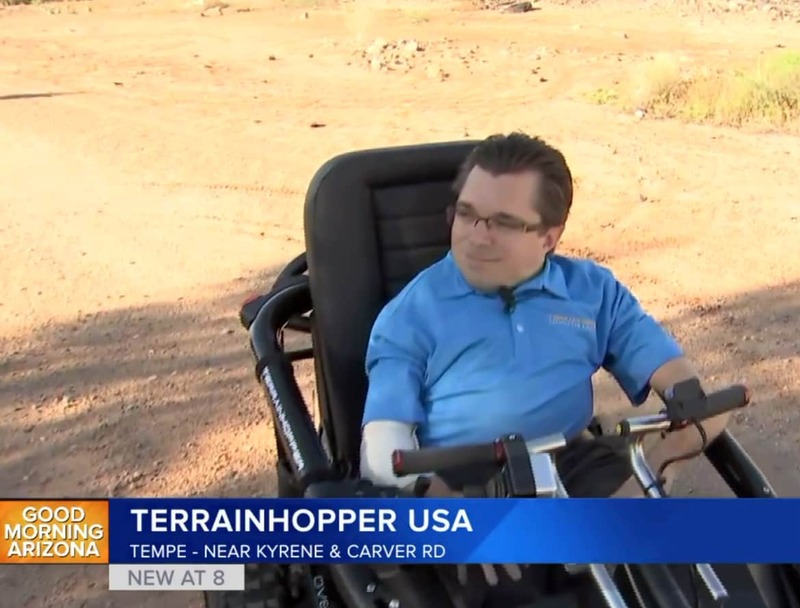 CEO Todd Lemay, an ASU graduate who uses a wheelchair himself because of a brittle-bone disease, thought of the idea one day after he couldn’t go on a walk at a San Diego beach with his girlfriend because of sand. 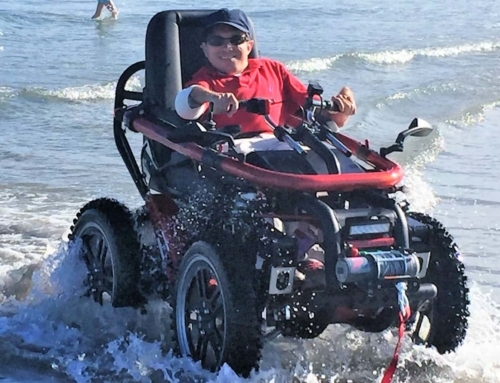 “I missed that opportunity to go walk on the beach with her and hold her hand. 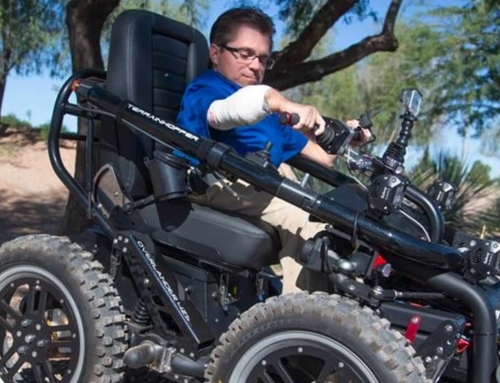 I’ll never forget that,” said Lemay.